Trailhead: Located beside the parking lot. 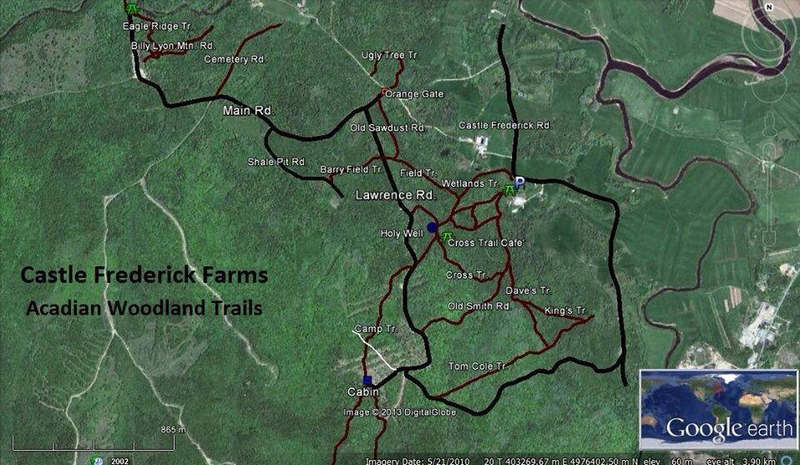 Information Castle Frederick Farms Inc has a network of forestry roads and wooded trails that we have developed for recreational use. They are not for motorized vehicles but ideal for mountain bikes, walking, cross country skiing and snowshoeing. The lower trails are family friendly and have several picnic/rest spots along the way. Pets on leashes are allowed on the trails. To support us in providing this facility, we ask that people make donations at the trail head to our maintenance fund.